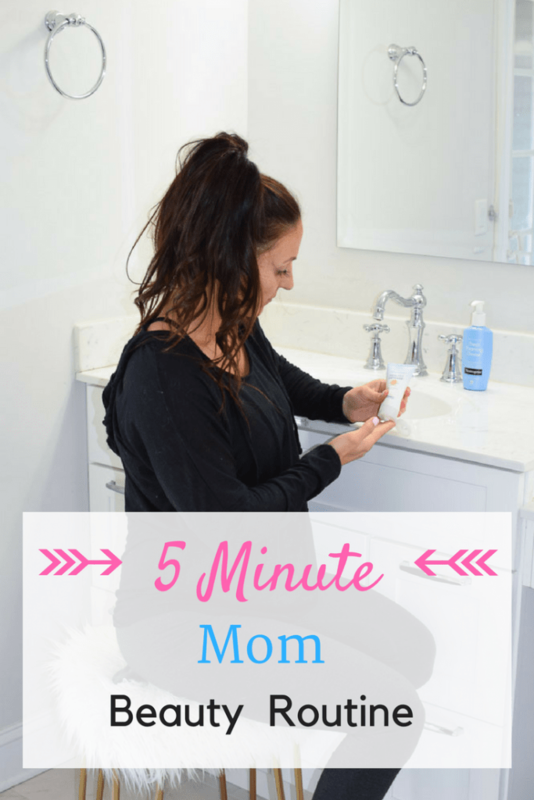 With 2 young kids and a whole heap of dogs let’s just say my mom beauty routine is SIMPLE. My day starts the same every single morning. My son wakes up screaming he wants to watch Elmo and my dogs are whining because they have to go out. Don’t be jealous. To say I have very little time to myself in the morning is an understatement as I’m sure 99.99% of moms can relate to. Once my kids are ready for school I head back upstairs for a few minutes to get myself together. It’s never long before someone ends up crying that the dog ate their breakfast or they can’t find their toy (because they left it out with all the other 9,000 toys). So I generally give myself about 5 minutes to get ready before heading to school drop-off and the gym. After I wash my face I brush my lashes since I wear extensions and sometimes washing my face can move them around a little bit. 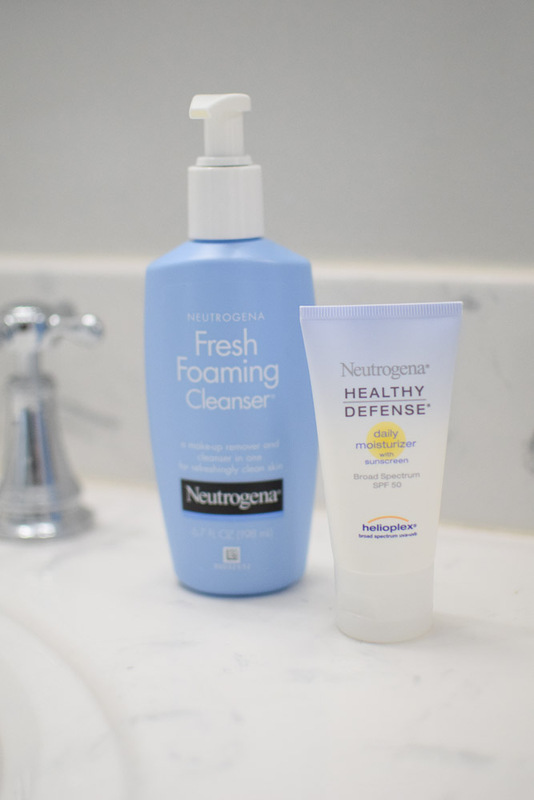 I then apply Neutrogena Healthy Defense Daily Moisturizer. I personally ALWAYS wear moisturizer with SPF and since this one has SPF 50 I don’t have to worry about the sun causing anymore lovely wrinkles. I’t’s also light on my skin and not greasy compared to others I’ve used. It also has an exclusive anti-oxidant blend with pure Vitamin E, which helps prevent environmental damage. After that I brush my hair and throw it in a ponytail to hit the gym. Just kidding, I don’t brush it, LOL. 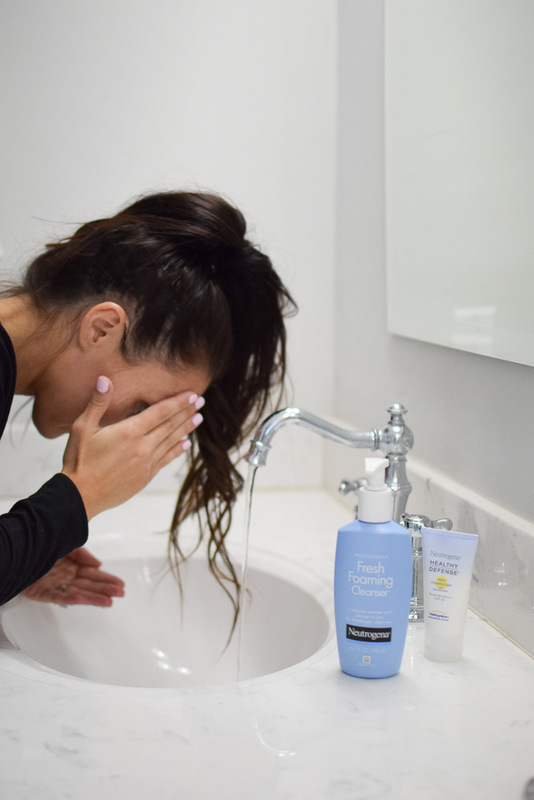 Even though I head to the gym every morning I still think it’s important to just squeeze in those few minutes before I go to take care of my skin. And actually, when I get home from the gym I do the exact same thing all over again (plus a shower)! It’s so much easier to stay on top of your skincare than it is to reverse the signs of aging, etc. I always tell my clients when you look good you feel good and when you feel good you look good. It’s something I truly believe in. When it comes to wellness and beauty, everything is connected. You should take as much care of your skin as you do the the rest of your body. 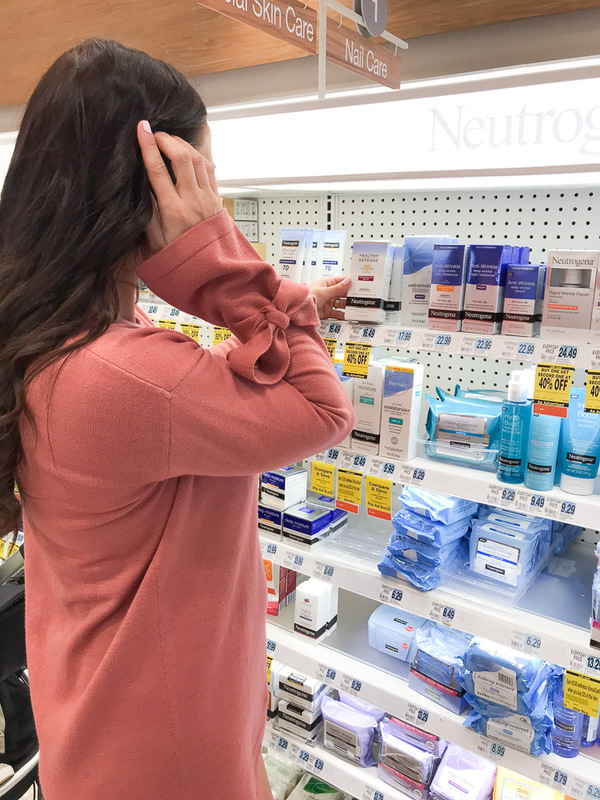 Right now Rite-Aid is currently running their Beauty & Wellness Event so it’s the perfect time to start taking care of YOU! 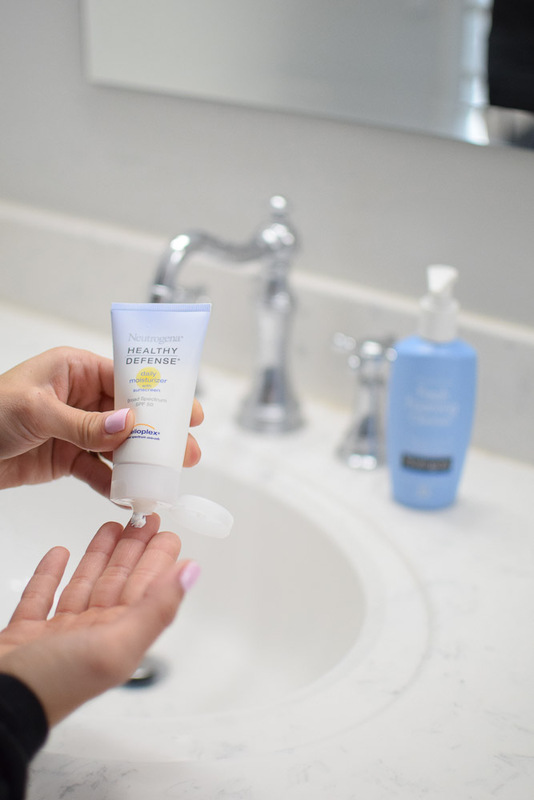 Rite Aid feels as I do when it comes to taking care of yourself – all aspects are intertwined. 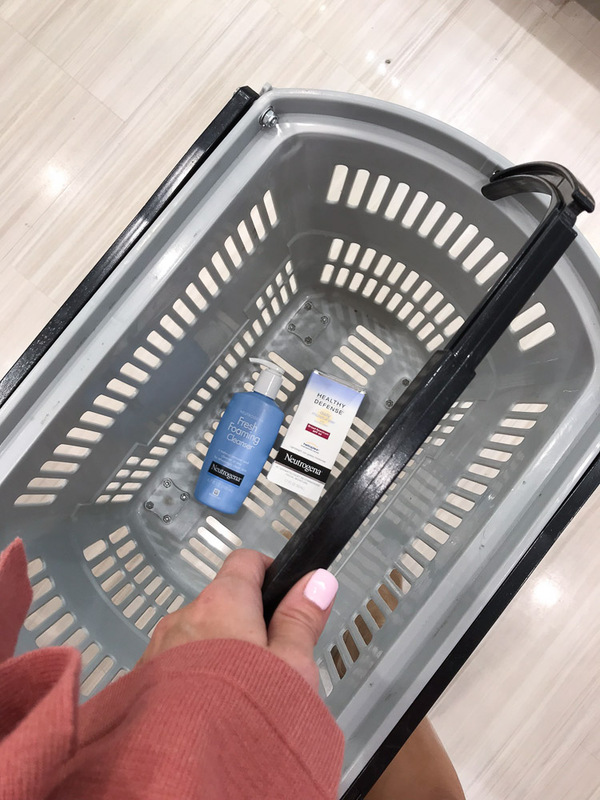 There are SO MANY great beauty/skincare choices in every aisle of their stores plus it’s so easy to shop there because everything is so organized! 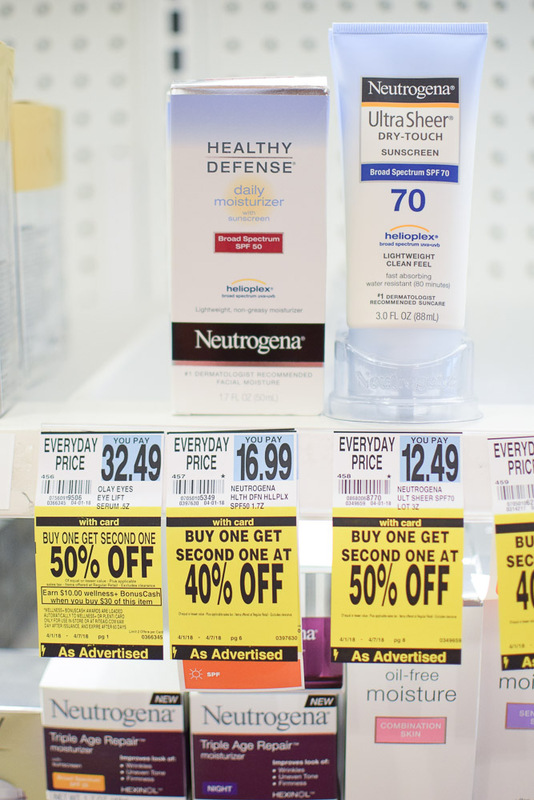 You can find the Neutrogena Healthy Defense Daily Moisturizer and Fresh Foaming Daily Cleanser in the Facial Skin Care Aisle (Aisle 2!). 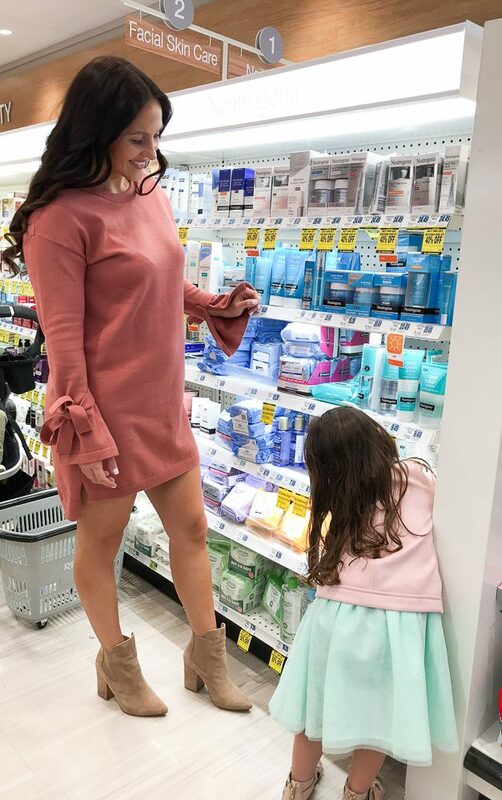 Me and my little helper made a pit stop at our local Rite Aid in Spring Lake on Easter to do some shopping before heading out to spend time with family. She loved helping me pick out the best deals from the sale stickers lol. Win-win for everyone! Every month Rite Aid also comes up with solutions created just for you to help you on your wellness and beauty journey. Even better – they provide special offers on these solutions every month. Because everyone loves a deal, AMIRITE?! PS – Your mom beauty routine doesn’t have to cost a fortune! *During the Beauty & Wellness Event if you spend $25 in participating items you get $5 in BonusCash! 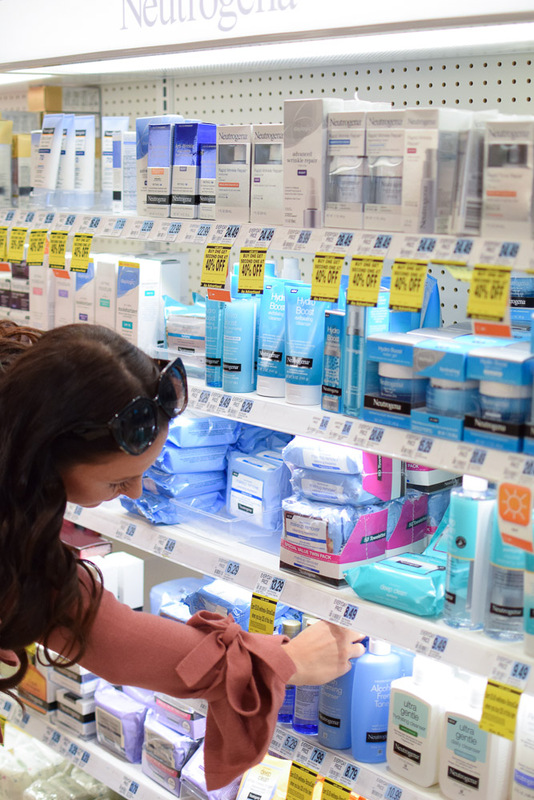 If you’re in need of some new mom beauty and/or wellness items be sure to head over to Rite Aid during their Beauty and Wellness Event from April 1, 2018 through April 28, 2018. Do you have a simple mom beauty routine that you swear by? Is there any one product you can’t live without?